You have shown great character and compassion by giving your time, energy, and support to schools and students in urban slum areas of Delhi, India who are in desperate need of your help. Although these students are very much like yours in terms of their aspirations, they lack the proper school environment for learning. Their schools have inadequate bathroom facilities, lack of a water connection, and insufficient hygiene education. Water Centric seeks to enhances the experience, education and retention of young people (especially girls) in schools, by empowering them with health, dignity and pride in their environment; which then gets passed on to their communities and to future generations. Most children in these slum schools belong to the poorest and most deprived communities. They are often from migrant families that have moved to Delhi in search of work. Water Centric would like to show you a typical school environment, what life for these students is like, and what you can do to make a real difference. These children are among the 1.1 billion people who lack access to clean water and among the 2.6 billion people who lack proper sanitation facilities. These problems result in many cases of water-borne illnesses, especially diarrhea, which is the 3rd highest cause of death. 1.1 million people die from these illnesses each year, 90% of whom are children. 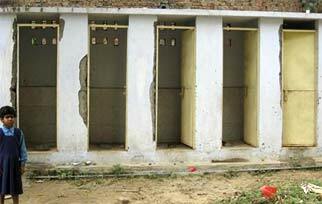 Your partner school has over 1,000 students, but only 1-4 toilets. 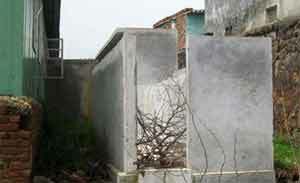 It is unlikely that all of these toilets are in working condition, and thus many children do not have facilities that they are able to use during school. Many students, especially girls, will stay home to avoid embarrassment and shame. Your help will allow for clean, working, and child friendly toilets- separated for boys and girls, with water and soap available for flushing and hand washing. Your partner school currently lacks a water connection. 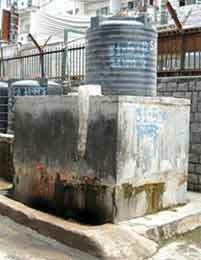 Instead, water is brought from the communal pump located in the village. Your help will allow for a clean drinking water facility, adequate for the number of children being served. We must ensure that these students learn and understand the issues of water sanitation so they will be able to create a healthy lifestyle for themselves and their future community. Hygiene education helps students establish a clear link between the water-borne diseases they are commonly afflicted with and their own hygiene practices. A comprehensive hygiene education module will be taught to each class/grade at the school by trained teachers in order to make the link between personal hygiene and health. In order to instill a sense of pride and dignity for the school environment, students will play a big part in the maintenance of their new facilities. Providing them access to proper and clean facilities, will encourage them to attend school and receive the necessary education to become strong, educated leaders of the future. Water Centric will emphasize active student participation in the upkeep of school facilities and in spreading awareness, by example, about the importance of hygiene. The ultimate goal is for these efforts to transfer beyond the school children to the rest of the community. Meetings with principals and community leaders foster further support for the initiative. The community is also required to buy-into the initiative and work towards supporting itself. Thus, the community will learn to sustain itself and these resources will continue to help future generations. 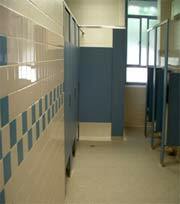 A typical bathroom at a school that Water Centric works with. A typical bathroom in a school in the United States. Do you notice the disparity? Your support can help to make a real difference and forever change the lives of these children. Join Water Centric in helping schools around the world. Water Centric is an international NGO that partners with local NGOs in developing countries to bring resources to poor schools of selected high need areas in South Asia and Africa. 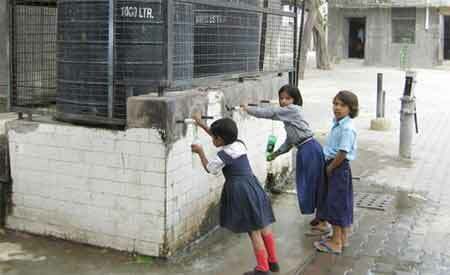 Sakshi is the local NGO working with the 10 MCD schools in the urban slums of Delhi. Key competencies of WC include: overseeing the planning and implementing of each initiative; raising funds and awareness globally to accomplish this work; technical assistance on all aspects; developing a monitoring and evaluation plan to ensure sustainability; documentation of all its initiatives; eventual replication and scale up of successful models. Please visit http://www.watercentric.org/ for additional information.